Product prices and availability are accurate as of 2019-04-18 20:40:50 EDT and are subject to change. Any price and availability information displayed on http://www.amazon.com/ at the time of purchase will apply to the purchase of this product. 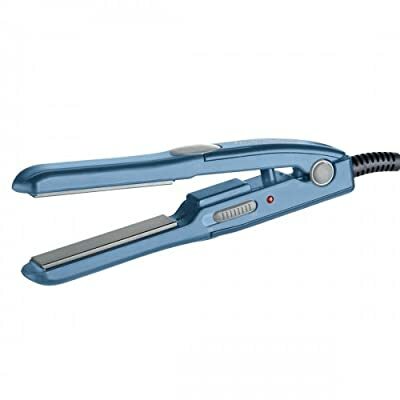 These 6" mini straightening irons have all the benefits of titanium/ceramic plates and Ryton housing in a convenient, compact size. they have dual voltage for worldwide use and reach temperatures up to 430°F. Lightweight, superior heat retention and exceptional smoothness... get beautiful hair from these little stars!